In summer 1995. My husband and I were on our honeymoon, driving up the west coast from Oregon to BC. My dad and my brother were in Kelowna where my dad had bought a piece of land. When I called them, they asked us to come over and have a look at the land. So my husband and I drove there from Vancouver. There are many photos of the first hike of the Blenk family through the wilderness that is Wilden today. Since I was 8 months pregnant I will never forget all the hills we climbed that day. In the photos we are holding up Roman numerals with sticks which was supposed to help us puzzling the photos together and give us an overview over this vast terrain. Nobody ever finished that puzzle. 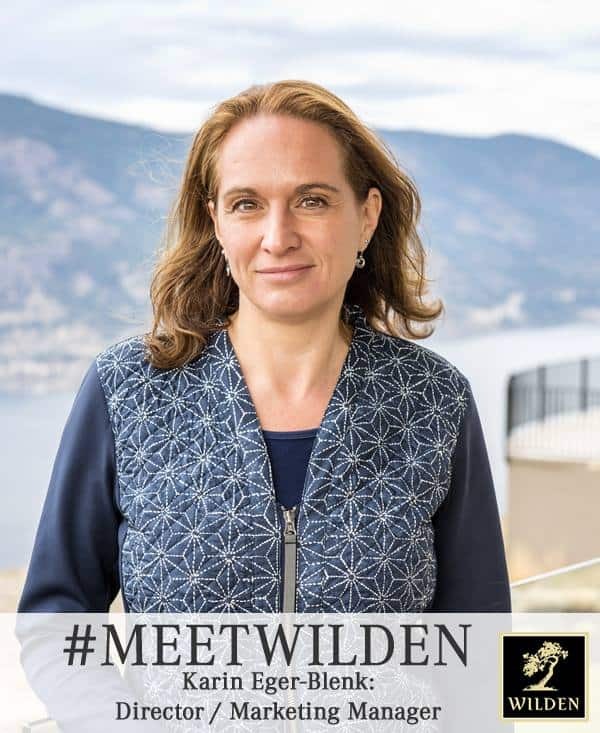 Since the year 2011, when I moved here from Germany with my husband and kids, I am Director and Marketing Manager of Wilden. My original profession is marketing and communications. I love to spread the word about the well-balanced lifestyle we are offering up here. I really like to be in direct contact with our residents and potential clients and hear about their needs and expectations. But I also like to investigate and get involved in fields that are rather new to me: such as innovative home design and sustainable home building practices. I play the piano and sing jazzy tunes when nobody’s listening. I’m not sure if it’s powerful, but it makes me forget everything, including the fact that I am actually not Adele. A Sauna and a real wood fireplace. Maybe if it was summer I would say a swimming pool. But it’s November. I am following the basic rules of a Yogic lifestyle. I’m forever grateful to my teachers who turned this over-commited, stressed-out person into a well-balanced, happier human being. There’s a little panoramic trail in Wilden that’s the best running route I’ve ever had. I won’t say where exactly. Find it and enjoy it at your own risk. Organic fruit, followed by red wine. An organization that helps make a good education accessible and affordable for everyone who lives on this planet. Until the year 2011 I lived in the beautiful, alpine South of Germany. I’d still live there if I hadn’t moved here.